Motor Trend is back with another exclusive! 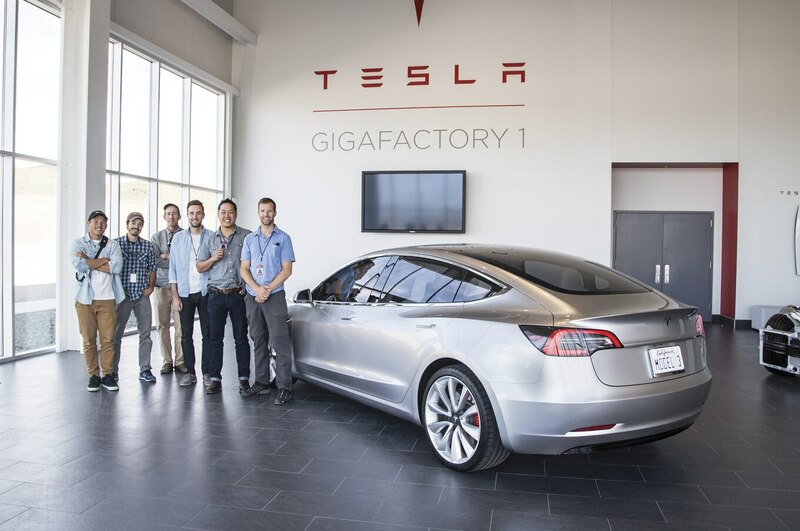 Nowhere else will you find photos of the updated Tesla Model S with the Model X and explosively popular Model 3 at a Gigafactory. Keep reading for a design critique on the Model 3 and our educated guesses on Model 3 tech, plus some Gigafactory trivia. The Model 3 and X couldn’t exist without this car. 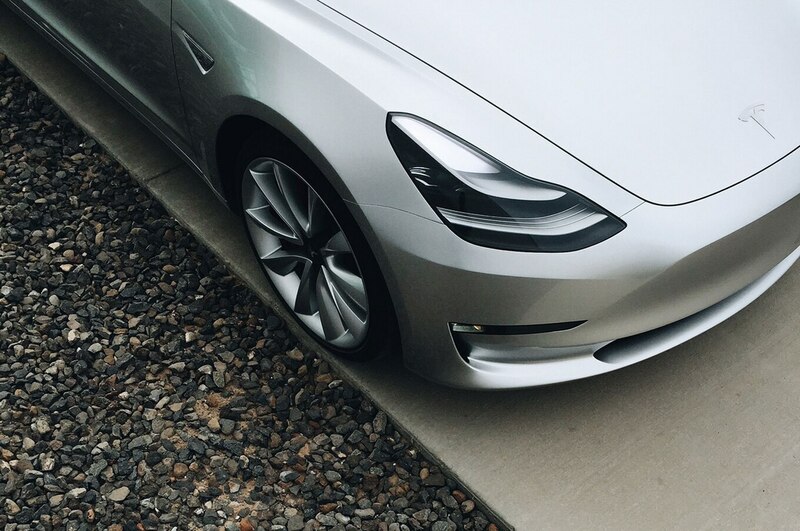 The Model S gets its first visual update since its 2012 launch this year with the new grille-less face. 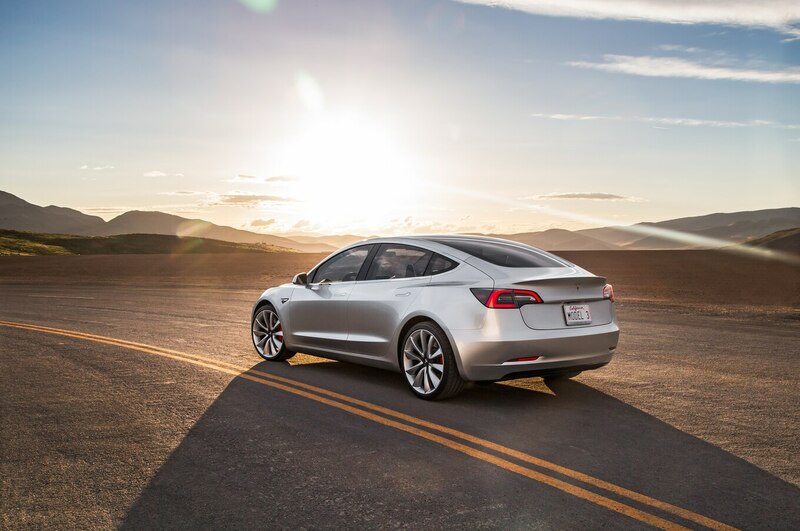 Read our Quick Drive review of a 2016 Model S right here. 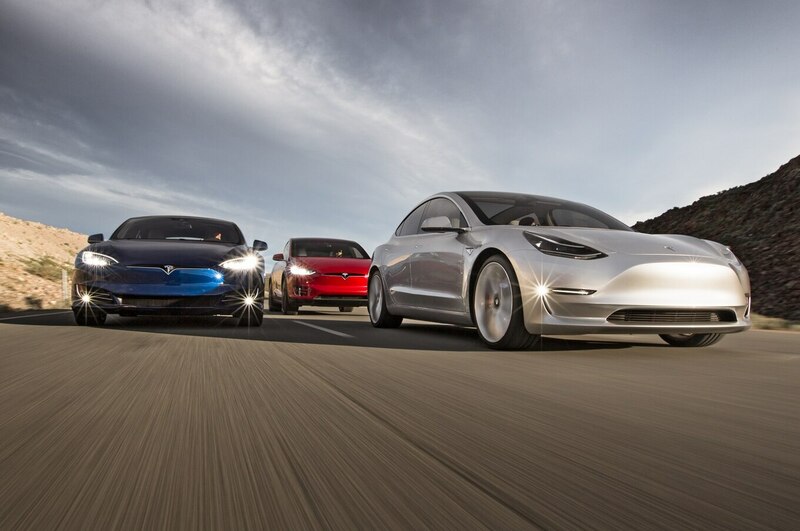 Elon Musk openly says Tesla’s fascinating new Model 3 was funded by sales of the S and X; Tesla’s received nearly 400,000 preorders. What’s more American than having it all? The Model X SUV is both eco-friendly and quicker than your neighbor’s Ferrari? Find out just how quick it is in our 2016 Tesla Model X First Test review. 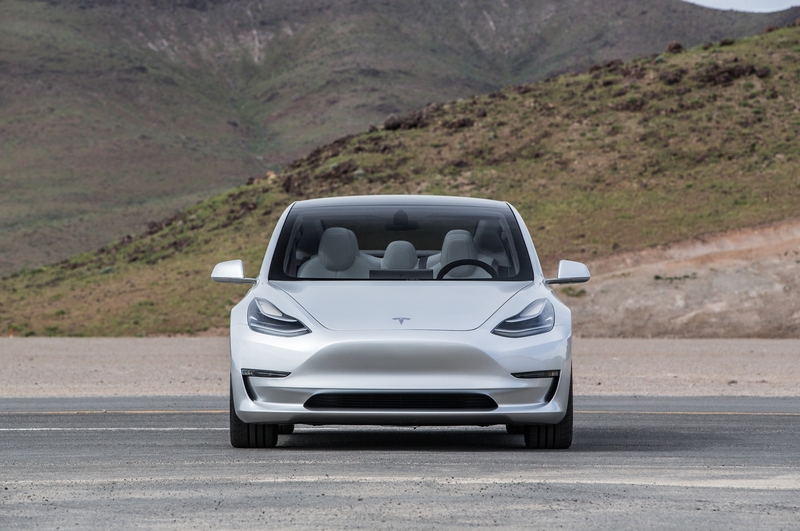 We asked our design guru, Tom Gale, and ArtCenter College of Design instructor Tim Huntzinger to weigh in on the Model 3’s design. 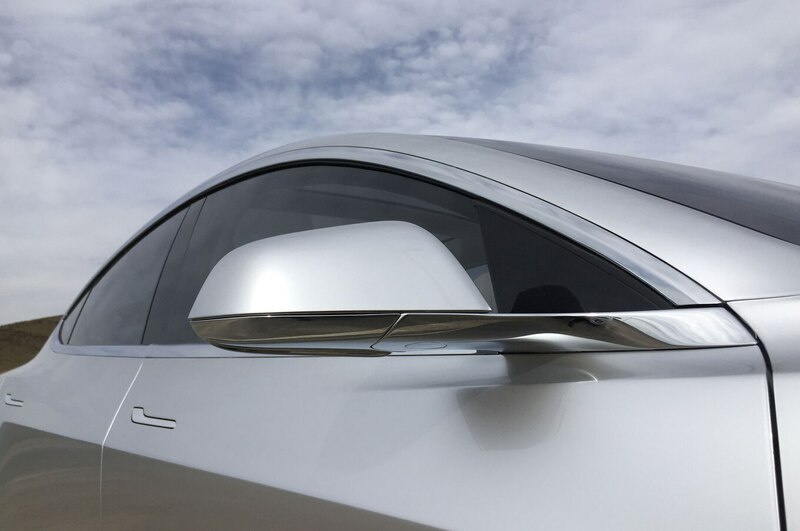 Although Gale’s are the eyes of monumental experience (Chrysler LH sedan, Plymouth Prowler, and original Viper), Huntzinger’s have seen the emergence of California’s burgeoning EV scene (he’s worked for Fisker and Coda) and the cutting-edge creativity of design students. Let’s listen in. Gale: The car’s proportions accomplish a good balance between rear room within the shortened overall length. The risk here is that the roofline (in side view) would hang onto a fullness like the Panamera’s, making the side view appear much heavier. But the Model 3 walks this fine line very skillfully. And not only are the proportions of the wheels and tires remarkably good, but their graphics are also critical given the car’s clean surface and absence of gratuitous ornamentation. See that “light catcher” between the wheels? It contrasts with the sill and is important to the feeling of forward movement. Huntzinger: The sweeping roofline maximizes interior space and maintains a serious and sporty profile without appearing overly aggressive. The expansive glass roof paired with a high roofline and ridged tumblehome lends a modern feel without looking like a Jetsons-esque caricature. 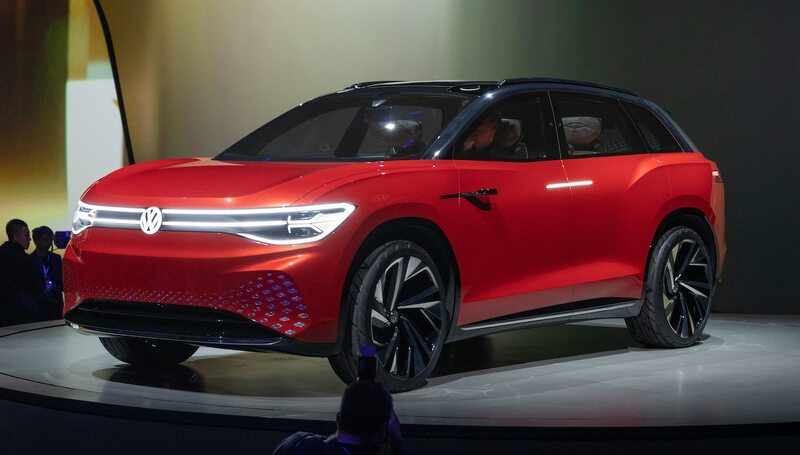 Huntzinger: Although the market still expects EVs to be showcased very differently than conventional cars, Tesla has eschewed the efficiency proportions of the Prius or BMW i3 and opted for a performance language with more subtle styling cues to differentiate itself. What if I were to critique this as I would a student project? 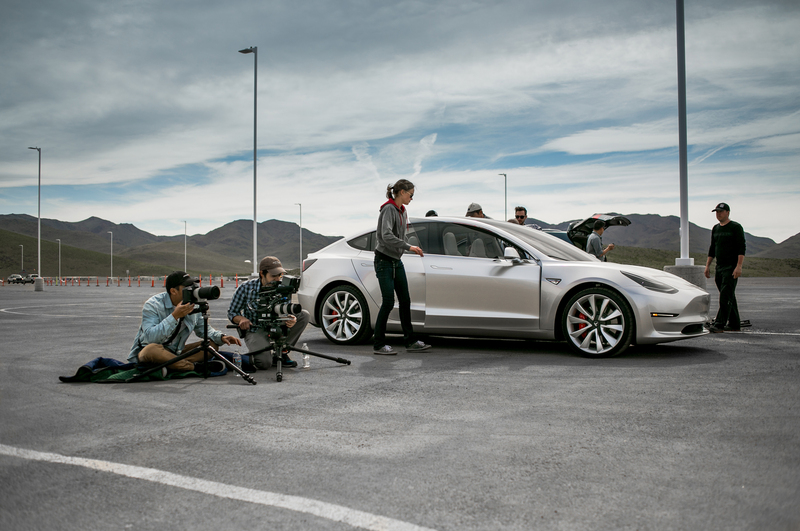 At ArtCenter, we expect our transportation design students to push the boundaries of design—but production vehicles have a totally different set of priorities. Still, the Model 3 feels optimistic and exciting. Personally, I’d say that perhaps they could have pushed the stark simplicity even further and created an even more polarizing design statement. 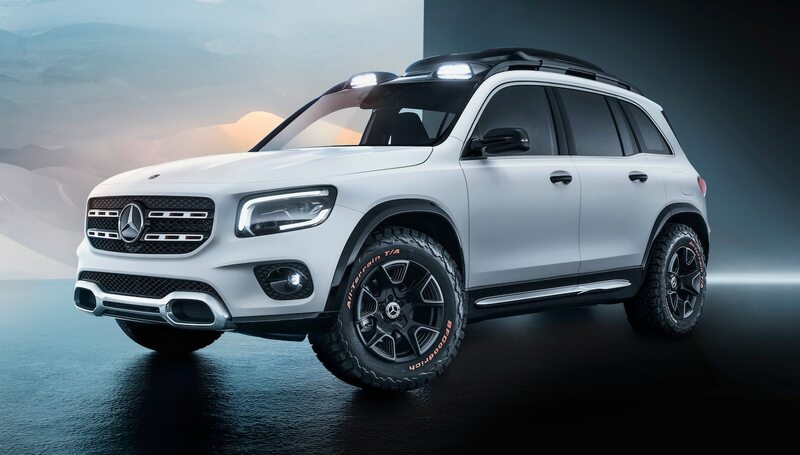 Gale: In rear view, the relationship between the wheels and body and glass definitely lends a look of capability, particularly in how the rear wheels’ forms extend beyond the upper body mass, resulting in a wide track appearance. 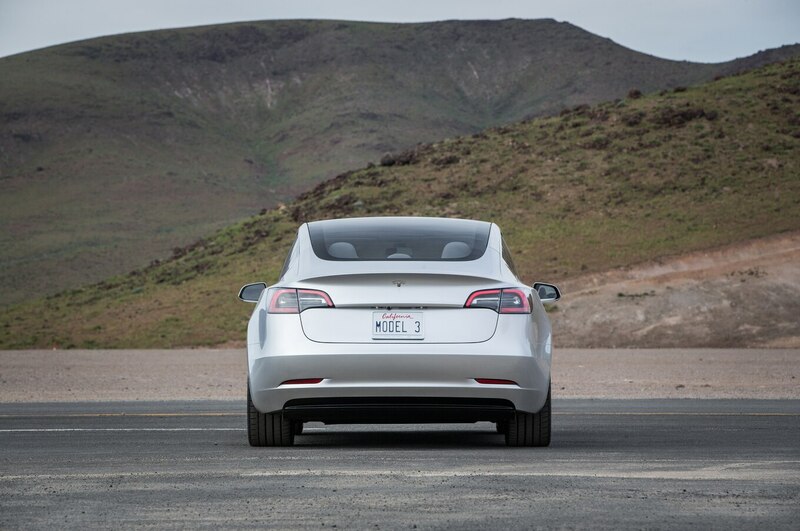 On the other hand, the upper cabin appears narrow due to the car’s slimmer width (compared to Model S), higher tail, and rear backlite extending up into the roof. However, this sense of track width enables the high “cheekbones” and sharp fender peaks to contrast with the soft forms leading to them. 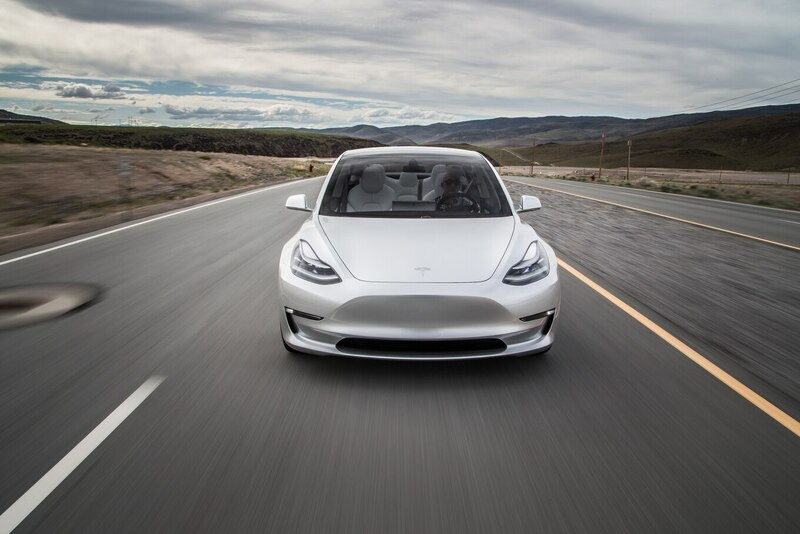 Gale: The Model 3 is impressive for its surface purity and avoidance of excess. 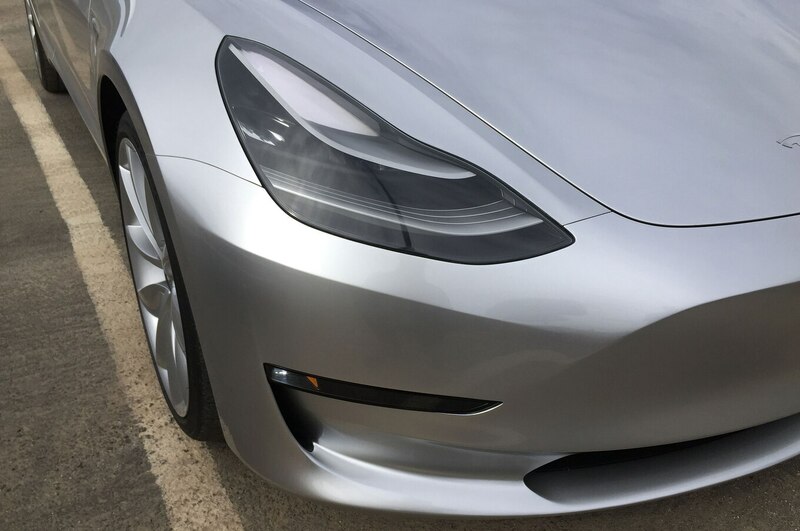 It’s clean and refined with similarities to the Model S. This is a significant design challenge since you don’t have the length and width to resolve the same forms. And moldings and ornamentation suggest value rather than cost savings to me. 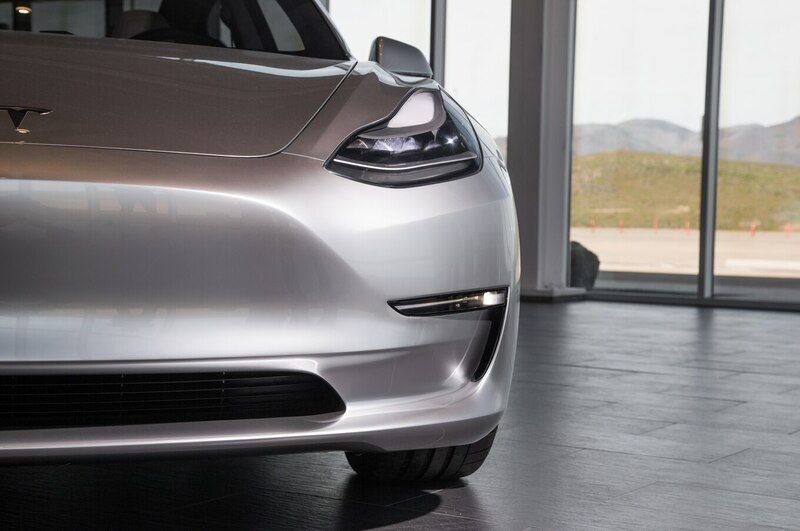 The bright side window moldings not only add perceived value but also are recognizable Tesla cues. There are almost no other moldings; instead, there are character lines and shadows that serve the same graphic solution. The A-line between the wheels avoids the temptation of over-gesturing found on almost every other midsize sedan. Gale: This seemingly unresolved grille area is interesting. 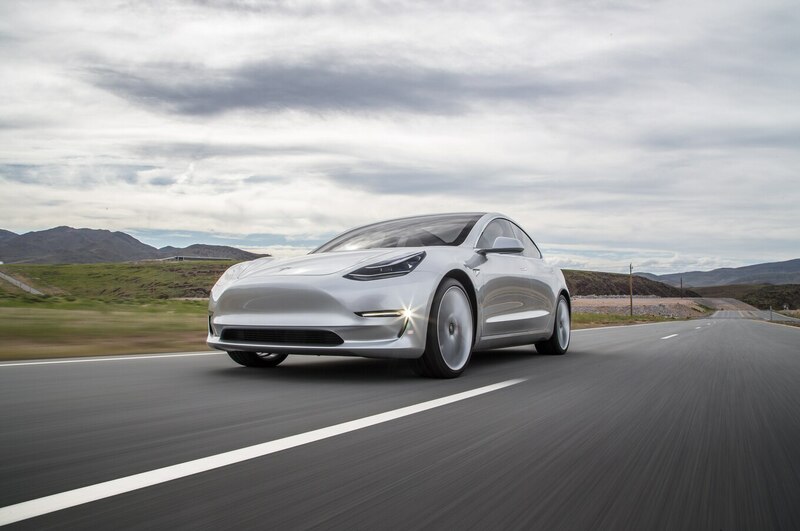 Perhaps it’s deliberately controversial, because we certainly recognize it as Tesla. But in time, I wonder if moving the Tesla badge from the frunk to the fascia and having some lateral element to support it might have been more successful. Huntzinger: The most spirited discussion seems to be in the design of the nose. It is a bit polarizing but probably deliberately so. This lack of visual clutter combined with surfacing that suggests there was once something there is attention grabbing. It leaves the observer contemplating the styling longer than a quick read of good or bad. 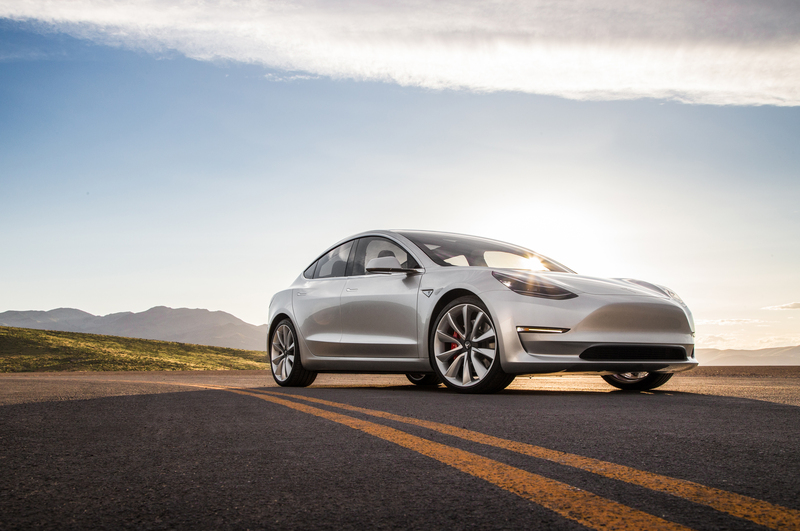 Tech Guesses: More Than a Mini Model S? 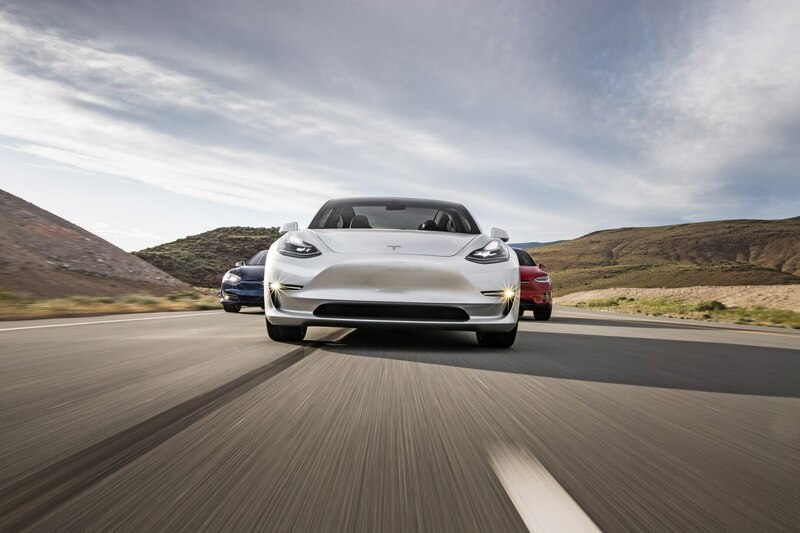 It’s mighty tempting, of course, to pigeonhole the Model 3 as merely a mini Model S. All of its technical landmarks are famous to Model S fans: the giant pancake battery (and thousands of liquid-cooled cells) under the floor, the compact rear electric motor, the trunk up front, and the smaller frunk when the car is equipped with a secondary dual electric motor. 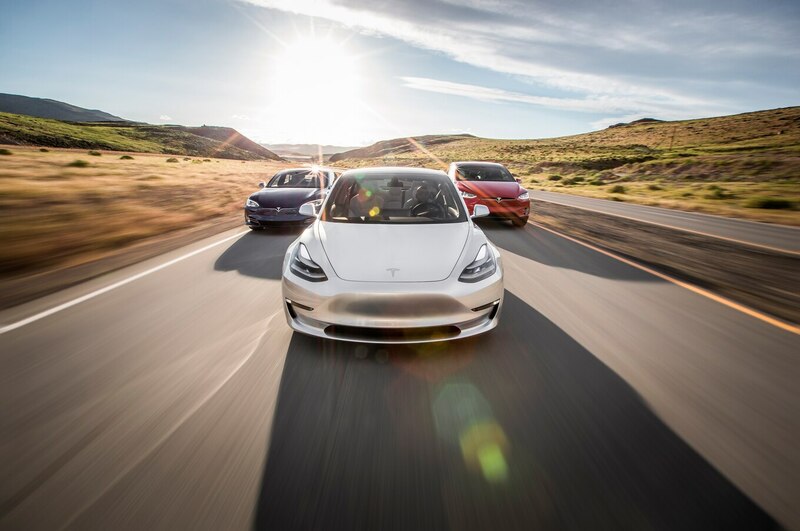 Fremont, California, is a virtuoso at choreographing this outlier architecture into a game-changing driving experience, and the 3 promises the same—albeit at a smaller scale. 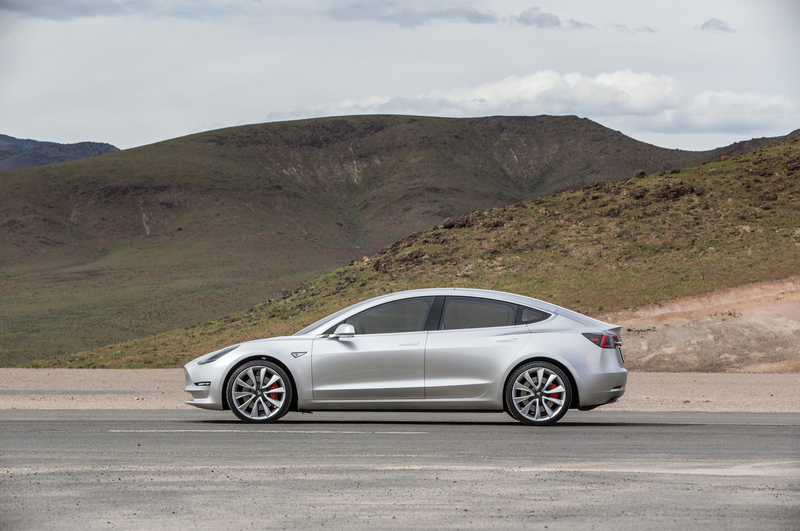 Although exact dimensions aren’t available, our estimates suggest it’ll be a 90 percent scale Model S—6 percent shorter, 4 percent narrower, but about a similar height. 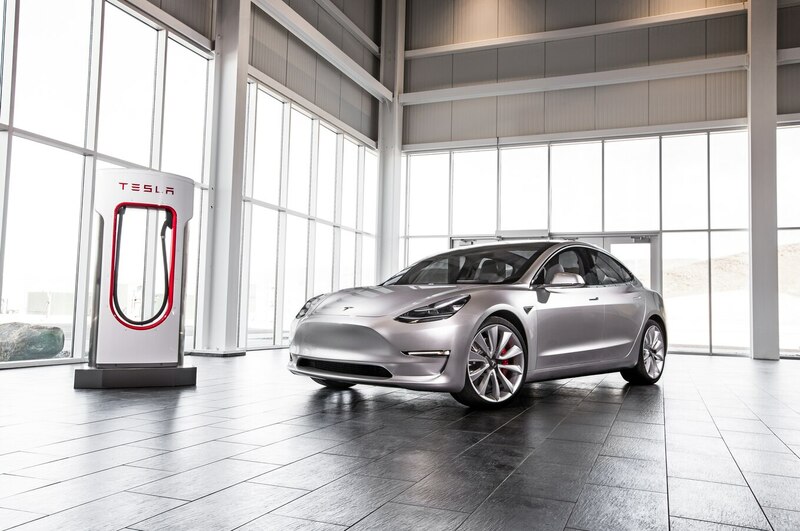 However, as the battery’s footprint is constrained by the wheelbase (it’s maybe 97 percent of the Model S’), the volume of the battery case might only be 6 percent smaller, suggesting room for as much as 80 kW-hrs at Tesla’s current energy density—or potentially a 260-mile (418-km) range. Makes you wonder if Tesla’s leaving room for more cells as the price drops (the immediate constraint being that $35,000 USD price bogey). A 215-mile (346-km) range, as officially claimed, points to about 55-70 kW-hrs. The 3’s side view is telling in this regard. The priority of the wheelbase pinches the front overhang, but not unattractively. 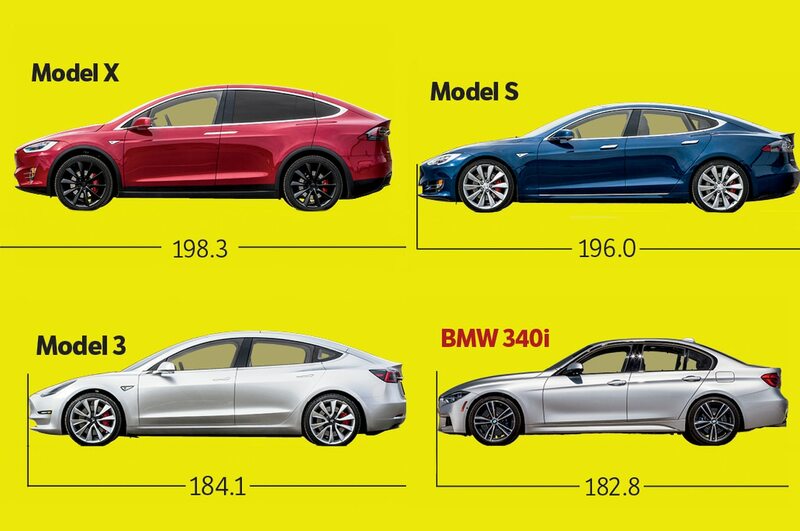 Compare for a moment the profiles of the Model 3 and BMW’s 340i. That ancient horse-before-the-wagon long-hood/front-engine profile of performance cars suddenly looks kinda tired, doesn’t it? (And the puffed, pedestrian-friendly hood only exacerbates the problem.) 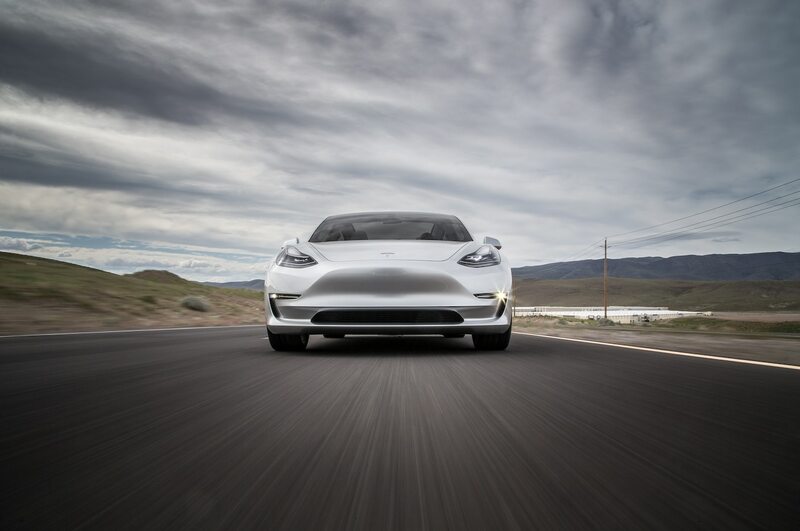 Configured as either rear-drive or dual-motor, rear-biased AWD, the prototype Model 3 continues Tesla’s speccing of staggered tire sizes—Michelin Pilot Super Sports, 235/35ZR20s in front, fatter 275/30ZR20s in back. It’s not just for looks or weight distribution, though. 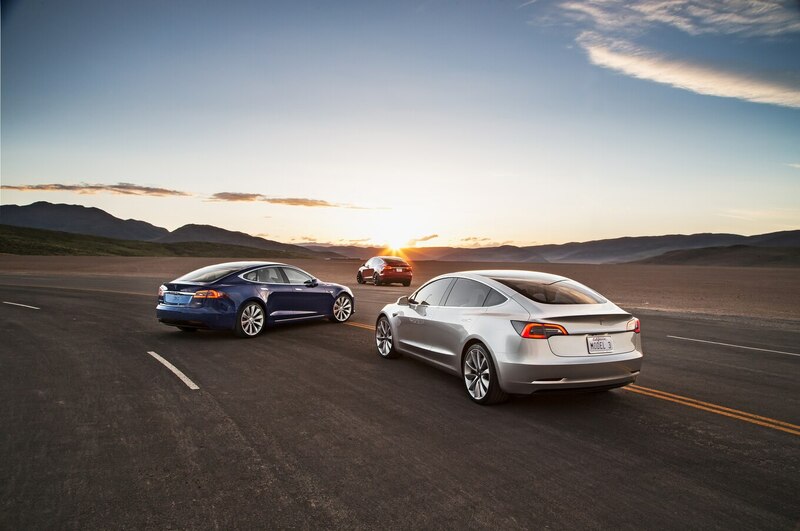 An electric motor’s instant torque and Tesla’s notably high regen brake drag exercise the rear rubber pretty hard. 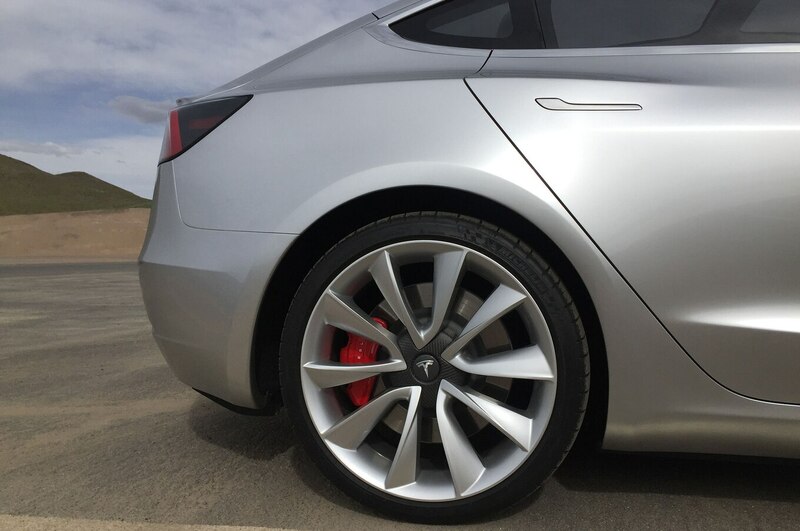 And although the car’s sprung by cheaper steel springs, the 3 appears to be suspended by the Model S and X’s signature suspensions—upper A-arm/lower virtual-pivot dual links in front, multilink with a lower A-arm in back. 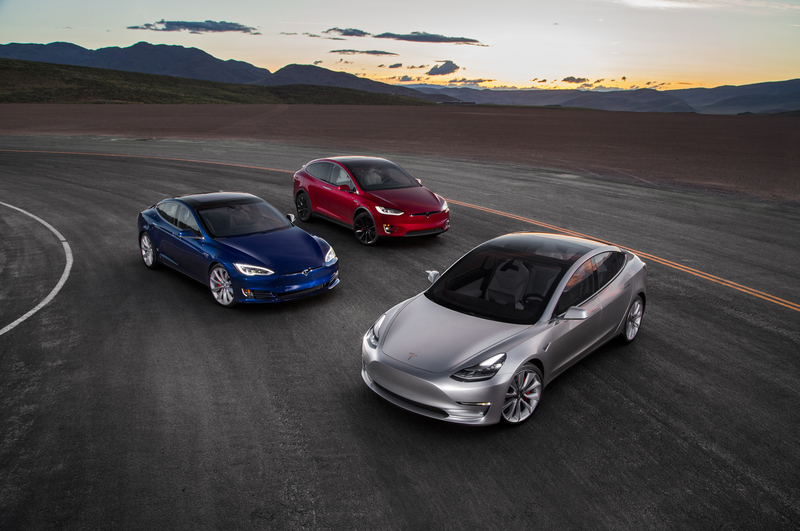 A mass-produced aluminum car is still cost-prohibitive, so the 3 is mainly steel with aluminum panels. As such, it won’t be as light as its scale suggests. Moreover, the fishbowl roof’s square yards of glass threaten to ratchet up the center of gravity (unless it’s supplanted by Corning’s automotive Gorilla glass). Nevertheless, the 3’s lightning-reaction torque response, lightweight motor(s), low battery pack, and slimmer dimensions signal a car that should still revolutionize the driving dynamics of the everyman sedan. Understand, Tesla is still threading a needle here. 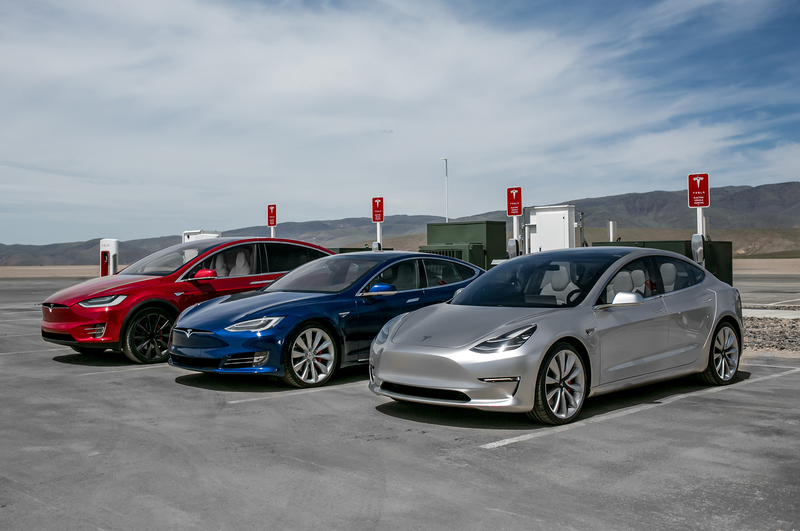 Its human-machine interface will have to be reimagined to an Apple-like usability, and unlike early adopters, mass-market EV drivers are unlikely to accept waiting at a full Supercharger station. And on trips, the smaller battery will require charging to a higher level before setting off for the next charger—something you’d like to avoid, as topping off the battery is vastly slower. *MT estimates based on image scaling, best intelligence. It will be the biggest lithium battery factory in the world and will be bigger than the sum of all lithium battery factories currently in existence. As of May 2016, its footprint covers 800,000 square feet, but it has several levels to provide a total of 1.9 million square feet. 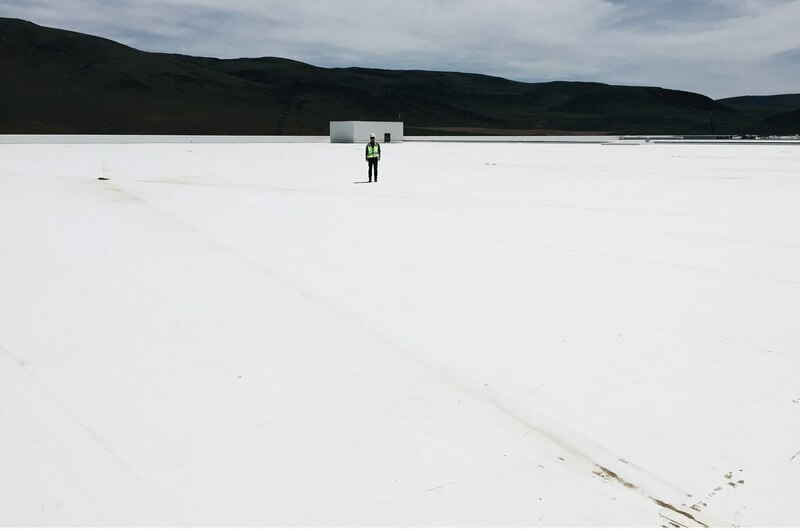 The 800,000 square feet is 14 percent of its eventual square footage of 5.8 million square feet (approximately 100 football fields). Its footprint will be one of the largest in the world. 6,000-plus people will work inside the completed factory. Eventually the building’s roof will be covered in solar panels making this a net zero energy factory. 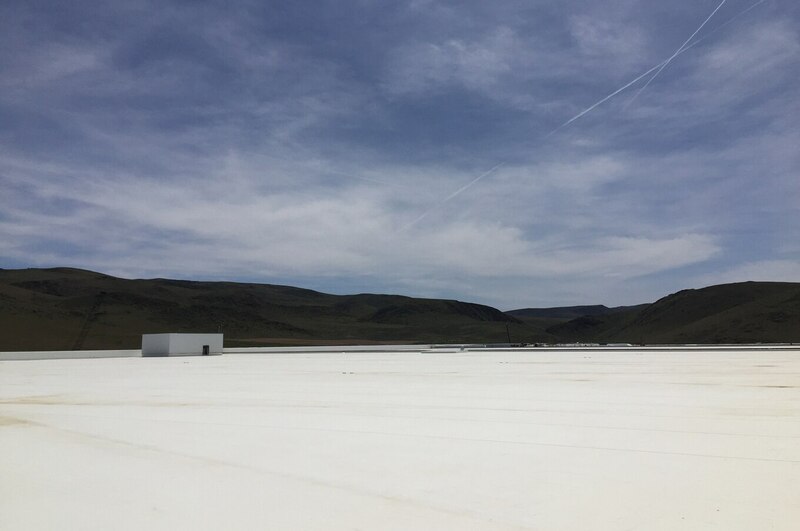 According to Fortune.com, some of the lithium used for battery cell production will be mined from nearby Nevada mines. In an interview with Fast Company, Musk said the finished factory will be composed of four different structures built on four separate foundations so it can better withstand earthquakes. 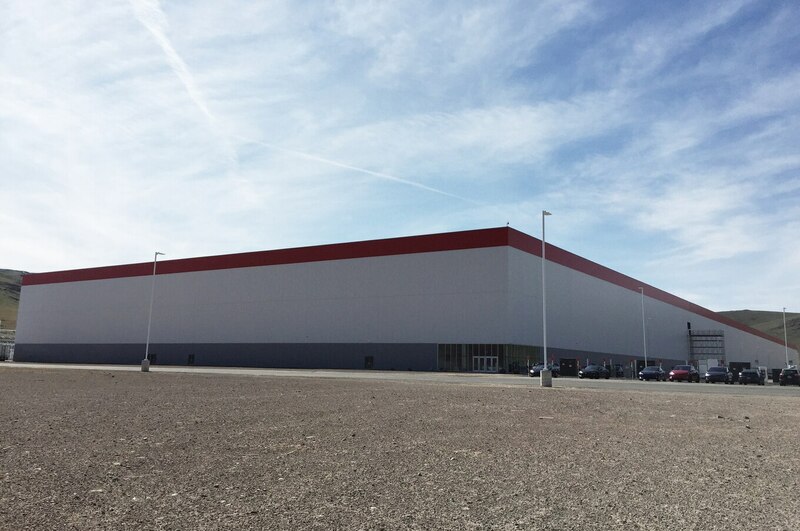 The name Gigafactory comes from the factory’s planned annual battery production capacity of 35 gigawatt-hours (gW-hr). One gigawatt-hour is the equivalent of generating (or consuming) 1 billion watts for one hour, or 1 million times that of 1 kW-hr. 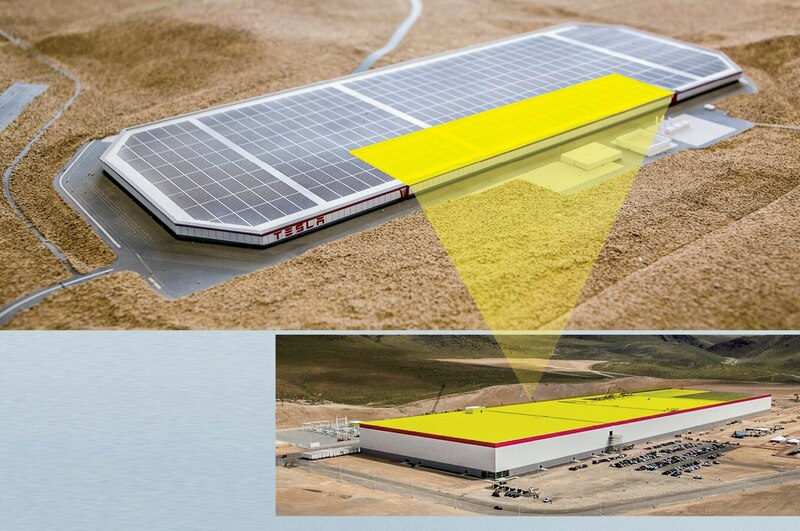 Estimated Gigafactory cost: $5 billion USD. © 2019 MOTORTREND MAGAZINE | MOTOR TREND GROUP, LLC. ALL RIGHTS RESERVED.